When it comes to Bowie knives, they’re certainly not all made the same. Maybe more-so than with any other type of knife, it’s incredibly easy to get drawn into just the coolest, the biggest, or the ‘baddest’ looking knife. 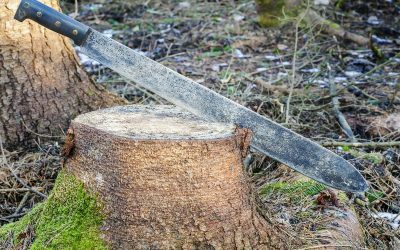 So in this list, we are going to help you wade through your options to help you find the best Bowie knife for your own needs! Whether you’re looking for a Bowie for camping and hunting, or a knife that will bring out your inner-Rambo, we’ve found the best of the best for any price range. 8.2 What is a Bowie Knife? In a rush? Check out our picks for the top 6 Best Bowie Knives below! For those of you survivalists, or outdoorsmen, whom are on a tight budget, this 12” survival bowie knife from Elite is a great option. As we mention in our buyer’s guide, you want a quality Bowie knife to be above at least 6 inches, as the most manageable type of Bowie will be in that range. While this is a 12 Inch Bowie knife, the blade is 7.5 Inches and stainless steel. On blade size, it passes our size requirements. However, not only does it perform as a good Bowie knife, but it is also one of the highest rated and purchased tactical knives on the market (largely because of its value as such a cheap knife). While it has good measurements, it is important to keep in perspective the very low price tag that it sports. It seems to be a strong plastic, but since it is partial tang, it is possible to break this knife if you are chopping wood and abusing the knife, versus the majority on this list that have full tang. However, even with that said, it can handle rigorous use, it is just important to include that disclaimer, if you intend to make this your primary SHTF knife. The Elite 12” Bowie knife makes our list because it is a decent knife at this price point, and an option to consider as a back-up knife. It feels heavy in your hands (good weight), the blade seems heavy, and the ABS sheath is workable. Who is this for? If you’re looking for a back-up survival knife, it’s not a bad option. In many cases, you can find it for under 20 and 15 dollars (obviously pricing varies). However, this should not be your primary survival or tactical knife, but you can still have a lot of fun (and get a lot of work done) with this knife. Partial Tang which means that if it is your primary survival / tactical knife, you could be in trouble if it breaks while in use. The Timber Rattler Western Outlaw Bowie Knife is a beauty. Not just my opinion, but of the opinion of many, The Timber Rattler is one of the best bowie knives available – and is one of the bestselling hunting knives on many stores (including Amazon). Hunters love it. And it is very inexpensive to boot. First, this is a massive bowie knife, with an 11 3/8” stainless steel blade. If you were looking for a knife that you can conceal, and walk around with, then this very much is not the knife for you. The size is great. Heck, even knowing it is a big knife, when you take it out of the sheath, you can’t help but be a bit surprised at how massive the blade is. Just gargantuan in size. It has a little over 3” in thickness, and weighs approximately 2 pounds, so it certainly has some nice weight to it. Constructed with full tang, it seems like it was pretty much designed for batoning. 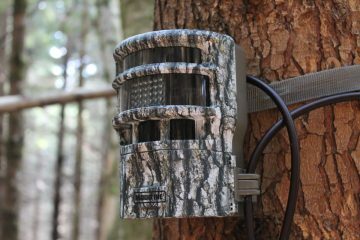 It can perform most of the tasks that you’ll need while outdoors or hunting. The gray hardwood handle is comfortable, and out of the box it comes in a genuine leather sheath (although I would think this is something that could be improved for the future). Out of the box (and sheath), it comes relatively sharp, but if you know how to sharpen a knife, it doesn’t take long to help it to get to a solid edge that can do work in the field. Ultimately, this is another knife that you could keep as a “back-up” for extra fun, perhaps for tasks that you wouldn’t have your primary Bowie knife doing. It’s solid in weight and thickness all the way down to the handle … just tremendous in terms of weight and sheer size. 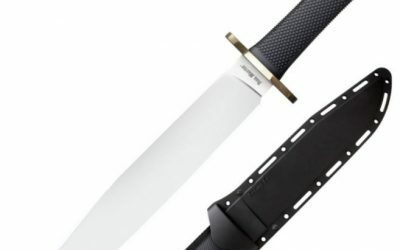 If you’re looking for a fun and inexpensive Bowie knife, this is it (one of the best cheap Bowie knives on the market). If you’re looking for a primary Bowie knife and something that packs a bigger punch, then read-on. While it is a genuine leather sheath, it still feels cheap. You can always purchase a different sheath to house this knife. The Uncle Henry 181UH Bowie is a top selling fixed blade hunting and bowie knife for good reason. It’s a very nice, inexpensive, all-purpose hunting knife by Schrade. Out of the box it comes with a sharp 10 inch blade. For a Bowie knife, that is a great size. Even though it is huge, it is not to the point where it is not usable (maybe a 25-30 inch blade starts to get more into that territory), or feels unwieldy. The large blade makes it the perfect size as a big game hunting type of knife, or for chopping, carving or even throwing. The massive blade slices right through thick tree branches, splitting wood, really making it the perfect tool if you were in a situation where you needed fire wood. Constructed with full tang, it allows it to take a beating. The Uncle Henry is made in China, which is reflected in its price. It wouldn’t be reasonable to expect this knife to come with top-end steel such as S30V. Instead, it is paired with a 7Cr17MoV high carbon stainless steel. This is most equivocal to 440A stainless steel. It is a medium-to-high carbon steel. It is a stainless steel because of its chrome content (17%). The molybdenum (Mo) is useful to improve the strength of the knife, and critical in reducing brittleness for a bowie knife because of the wear and tear that it will receive. And the Vanadium (V) helps the knife to maintain a sharp edge. The Uncle Henry feels to make for a nice camping and hunting knife, and is generally comfortable to use as it has good balance and weight. The other downside worth noting, in addition to the lower-grade steel, is the polyester belt sheath. Uncle Henry will make you proud. Especially, in a last resort situation if you needed to wield it to defend against an aggressive mammal charging at you, like a bear or wolf! 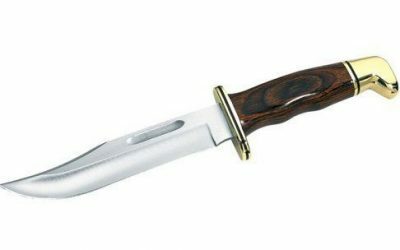 The Gerber Winchester Bowie Knife is certainly an interesting Bowie knife, and has mixed reviews and feedback from hunters and outdoorsmen alike. And, even with that being said, it is still a top seller online. Winchester’s focus for this Bowie knife was to design a large fixed blade that provided sheer rugged power, and strength. It certainly has some power and cutting strength. The Winchester Bowie Knife comes with a sharp 8.75 inch curved, clip-point tip, fixed blade, which obviously is not a pocket knife length, but it also isn’t one of the largest knives on our list either. It’s a perfect size for a bowie knife – it’s a large knife that can withstand heavy use, while still sporting a blade under 10 inches. The weight of the knife “feels” right. Its durability is proven in its ability to fly through chopping tests, particularly if you need to chop logs or branches. The blade comes out of the box very sharp. While it may re-sharpen easily, and in prime conditions sport a very sharp edge, it doesn’t hold its edge long-term all that great. The clip-point tip is located lower than the spine which provides additional control. While the clip-point is very handy, it might be harder for novice’s to sharpen. Obviously, reasonable expectations are a must in this price category, but it is largely because of its steel and blade materials. The Gerber Winchester Bowie Knife is made from stainless steel, which is a more durable alloy as compared to high carbon steel. Stainless steel is tough, and corrosion resistant. The handle is made of a nice wood, and many feel that the wood and brass handle offer a comfortable and strong grip even in bloody and wet conditions. It has a nice hefty feel to the blade, which encourages prolonged use. Looking at this bowie, the finger grooves are also a nice add. You’ll also notice that the brass plated cross guard separates the blade from the handle (nice aesthetics to it) and it is reinforced with two rivets. One complaint is that this knife is advertised as full tang, but actually is a rat tail tang. For me, the best bowie knife will have full tang, and is important if you are going to be chopping wood, branches or batoning. Another complaint is in regard to the sheath – which could be better. It is a durable ballistic nylon sheath that comes with a hard planer liner inside to keep the blade in place, and retention straps to keep it safe while on you. While it’s a solid plastic, and decent for what it is, I generally prefer kydex or genuine leather sheaths. 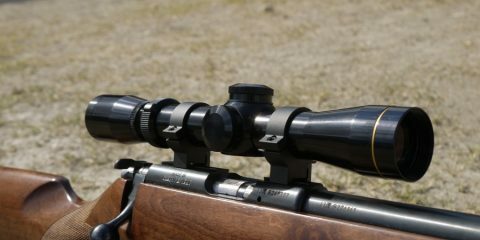 The Winchester is Made in China, which should not be a surprise at this price point (generally under $50 – but also can often be found for $30 – $40ish online), but all in all does what it was designed to do well. If you need to skin an animal while hunting, this Bowie knife has a curved edge near the point, and can handle that. Should you go camping, this knife will shine not only for bushcraft and chopping wood, but it guts fish easily, cutting right through bone. Overall, a superb Bowie knife for the outdoors at this price. The Schrade SCHF45 Bowie Knife is a beast of a Bowie knife. It is surprising how seamless the SCHF45 mounts and wields. With a total length of 16.5 inches, a clip point blade of 10.35 inches, and a thickness of a quarter inch, this truly is a rugged and sizable bowie. I like that Schrade SCHF45 is full tang, which makes it ideal for hacking and splitting logs, or field dressing game. Chopping, bushcraft, batoning, and even finer tasks such as feathering sticks are all roles this knife was designed for. The blade material of this knife is titanium 8Cr13MoV high carbon stainless steel, which is fine for what it is. Schrade heat treats this model in a way that makes the steel very resilient, and helps it to achieve, and hold a sharp edge. The handle is comfortable to hold and has TPE handle slabs with finger grooves which allows for additional gripping. On the spine side, there is jimping for extra grip … which some may find to be excessive (depending on whether you like alternative hand placements and grips – I personally do). It has the feel of a great camping knife that has some “oomph” to it at 1.3 pounds. The main complaint for this knife is in regard to the scabbard – which is ballistic plastic. While it has velco straps to secure the blade in, you may end up wanting to replace the sheath. All in all, at an inexpensive price point, Schrade has created a very good bowie knife that will be of service whether you’re camping, hunting or in a survivalist situation. The Ontario Marine Raider Bowie. For the price, I’ll just start by saying, its exceptional quality and value. I really like the company. For those who don’t know Ontario Knife Company, it’s a USA company that designs cutlery and gear for military, outdoor sporting and survival conditions. They also supply products for the U.S. Government itself – so to say they have high expectations to meet is an understatement, but a testament to the brand they are building. Excellent craftsmanship and materials in many of their knives, and they’re designed for heavy tactical and survival situations. The Marine Raider Bowie is true to form, and is a great knife. It sports a 9.75 inch monster blade, and is 15.25 inches in length. Depending on your needs, this knife puts in work, and was designed to do so. Full tang, even though it may not look it. Often times you’ll see the steel running through the handle exposed by the spine, but the Marine Raider Bowie is hidden in the handle. The knife comes sharp, and with a super sharp clip-point tip. When it starts to dull, it sharpens easily and holds a razor edge. You’ll notice it has a deep belly that can handle slicing and heavy duty cuts. Generally all around it is perfect for the woods (chopping through wood and smaller trees – it hacks right through). It can baton, but you can find better options on this list if that is your primary need. The blades are 57 – 59 HRC, so they come sharp and tough. Part of the reason the blade is as solid as it is, it’s American made 1095 steel, and also has a great heat treatment (with epoxy power coating). The blade and steel give it a nice and hefty feel. The Kraton handle has a unique feel to it. I can tell that it will be particularly helpful in the outdoors and when you’re enduring harsh climate. It isn’t wood, but instead rubber and stiff which gives it nice traction. The rubber helps to absorb impacts so that the shocks don’t ripple through your hand. Additionally, it has a lanyard hole so you don’t drop the knife – either while you are using it or walking around. The steel guard between the handle and the blade provides nice protection for your hands, and doesn’t obstructively stick out. The guard gives it that real Bowie feel. Lastly, it comes with a leather/cordura sheath, which carries very, very easily. With the drop down it is extremely comfortable, to the point that you can have it on your side for hours without it getting in your way (which is excellent, considering the size of this knife). It easily draws out of the sheath, and locks right into place securely. For the money, it is top notch quality. An intimidatingly large knife, and superb USA quality. All in all, not only a very good budget option, but a very good bowie knife in general! Poshland, may not be one of the most well-known brands in cutlery, has produced an excellent handmade Bowie with this model. Reasonably priced for what you are getting, it’s an option to consider as you explore which bowie knife is the right fit for you. It is a 14 inch bowie knife, with a 9-inch blade and 5-inch handle. It has a super sharp full tang blade, and maintains a very good edge. The blade comes sharp and with a hollow-ground edge. Aesthetically looks impeccable, and even the spine has custom filing done. Since this is Damascus steel, you will need to care for the knife, or risk it rusting. As we discuss in the buyer’s guide, it is important to oil a knife, such as this one, in order to keep it in pristine condition. This quality of a steel has a hardness of HRC 58 – 60, which means it is a very hard steel. As a hard steel it will maintain its edge and sharpness. If you are a collector, or are looking for a bowie knife that is a bit different than the rest, this is a quality, well-put-together knife. If you have read our other reviews before, it is not surprise that we are big fans of Buck. I personally love the quality of Buck Knives and the value you get. The Buck 120 is an excellent bowie knife. While smaller in length than many other knives included on the list, I like the control and precision that the Buck 120 offers in your movements. In terms of bowie knives, length is purely relative, as it is still a huge and solid knife. Out of the box it comes very sharp with a beautiful finish. Going camping? Hunting? This blade will slice right through wood and any type of game that you throw in its path. Bushcraft, tactical situations, the Buck 120 can do it all utility wise. In terms of steel quality, Buck uses their conventional 420HC stainless steel for this bowie knife. Buck’s 420HC, which is their average steel, is still an exceptional steel compared to most, as it holds a fine edge, and is corrosion resistant. This knife can absolutely take some punishment and abuse out in the field and woods. The Buck 120 has an ergonomic handle with aluminum pommel and phenolic plastic, or Dymondwood, which is ideal for messy conditions (depending which version you select). Both handles offer good grip, and an excellent balance to their weight. Ultimately, the 120 was more than worthy of making this list, and if you’re looking for a super well-constructed bowie knife at a more than fair price, this is your pick. Excellent company, and in Buck fashion, this is a knife that is ready for work out of the box. The KA-BAR 1217. You’ve most likely heard of this beast before. One of the most iconic tactical fixed-blade knives on the market, and for good reason, one of the best-selling combat knives online. The KA-Bar 1217 is of the most used knives in the United States Marine Corps – particularly during World War II. And of course, K-Bar knives are made in the USA. This list largely reflects a knife’s capabilities for hunting, camping and survival situations, and thus, this knife deserves to be mentioned. Out of the box, this gorgeous knife comes with a 7” blade, a high-quality leather handle, tough 1095 cro-van steel, and a leather sheath. It comes ready to serve you as a fighting or tactical knife (USMC stamp is embroidered onto the knife). This blade is the ultimate utility and combat knife. If you’re going camping, this beauty will handle many survivalist or backpacking tasks that you throw its way. However, the one caveat is that it doesn’t hold up as well to heavy duty tasks, and the reason is that it is rat tail tang as opposed to full tang (most on this list are full tang). For batoning and chopping wood, you want to stick to a bowie that has full tang. Even with that being said, it still is razor sharp and maintains a wicked edge – so sharp that it could tear through a rock (you would be surprised by some videos), and yes, easily sharp enough to shave the hair off of your arm. Understand that this is primarily a tactical and combat knife first and foremost and you won’t be disappointed. It is constructed with 1059 CroVan steel, which is not stainless, so it can in fact rust. For this knife in particular, you will need to take care of it if you want it to look and perform as great as it does from day one. The best way to do that is to constantly oil it. The sheath that comes out of the box is both durable, rugged and looks and feels great. However, you need to keep up maintenance on both the knife and sheath – and if you do – you’ll love it. All in all, a high-quality and crafted knife. The KA-BAR 1217 is a true American classic with a lot of history. And, in my opinion, is the perfect gift for anyone who has served in the Corps, or is joining the military. Includes a Secure-Ex (hard plastic) sheath that safely clips to a belt. Some call the Cold Steel 39LSWB Marauder Knife “beastly”, we prefer to call it one ferocious bowie knife. Just look at the specs: 9 inch blade, 14 inches in length and a blade thickness of 4.7 mm. The 39LSWB is named after Merill Marauder, and designed after combat knives, so the intention of the knife is to be mean and rugged. So, when we I say that this knife is no joke, I truly mean it … in other words, if you’re not careful, you could end up with stitches (it is that sharp – as some users can attest to). Cold Steel is known for quality control on many of their products, and this is no exception. The Marauder bowie knife has fantastic heat treating on the blade, and comes impressively razor sharp. While Cold Steel used Japanese Aus 8A stainless steel for this knife, it’s a stronger steel than you might think (not a bad slab of steel), and holds a surprisingly sharp edge. The tip is needle-like and will penetrate through any game that you throw it, or cut through any thick branches that you come across while camping or for bushcraft. The handle and handle guard are grippy and rubbery. Comfortable in hand, they also offer good traction for any type of weather, which is certainly important. One of the most surprising aspects of this knife is its light weight … it really is thin for its size, which you may or may not find more ideal for your own needs. The sheath is made of a hard type of plastic and has flaps that snap in place to lock the knife in. A decent sheath, but certainly nothing award-winning. Need to cut through brush? Going camping? This is a worthy bowie knife for bushcraft, batoning, chopping and any other heavy duty work you might need to do. An excellent bowie knife, especially for the money. The Pathfinder by Mora is one of the newer bowie knives on this list, and also one of the largest outdoor knives that Mora offers. This bowie is similar to another knife by Mora called the Mora Bushcraft Black. This bowie is a great option, considering what value you are looking to extract from the knife, and the purpose you want to use it for. They call this a “bushcraft” knife because it certainly seems designed for bushcraft and survival situations. It’s a very rugged and durable knife. The 6.75” blade with is razor sharp, and looks like a slender blade. Mora has a wide array of cutlery products, but the Pathfinder seems to be their best option for heavy-duty work – for bushcraft. For instance, the knife is ground flat to the tip. That’s important outdoors if your intention is to use it as a hammer. Another interesting characteristic is its light weight (about 8.8 oz) – which I find to be more of a personal preference. The blade is heat treated with a protective tungsten, which is a heavy stone … arguably one of the toughest things in nature, and that helps to give it its black look, corrosive resistant properties, and nice finish. With a tough high carbon steel steel, it is ideal for batoning and bushcraft, and will sharpen easily. If you’re in a fire making situation, the 90 degree spine of the blade is ideal. The handle is made of rubber and double-molded for traction in all weather conditions. However, if there is one prime complaint with this knife, it is mostly with the nylon sheath. 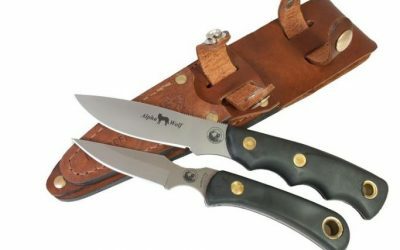 It is MOLLE-compatible, and has plastic and snap closures to retain the knife in place, but if you buy this knife, you may opt to go for a leather or kydex sheath instead. Also worth mentioning, it is not full tang, but partial tang. Even still, it is durable for batoning, but for some, that might be a deal breaker. Excellent option for the price. Nylon sheath leaves something to be desired. The Ka-Bar BK9 is simply a beast. There’s good reason that it’s employed by so many branches of the military and veterans. The BK9 comes razor sharp. Why is it a beast? Well, it hacks through wood and logs like they’re butter, and then refuses to apologize for its sheer strength and menacingly pierce tip. If you want size in a bowie knife, this is a monster at 14.75 inches, with a 9 inch blade. It has great size and length to it. Different bowie knives will suit different users depending on their needs. This a masterpiece for batoning, chopping, hammering, prying … all of which are a breeze for the BK9, largely because of the design and materials of the blade. It has a 20 degree edge angle, flat grind, and a sweet spot in the sweeping curve belly which gives it the strength and angle to pierce through any type of log or wood. The steel is 1059 CroVan carbon steel which is a tough, but easy to sharpen steel. The BK9 is also full tang with a solid piece of steel running all the way through. The full tang strength is another prime factor that makes it a superb bushcraft and tactical knife. It’s practically indestructible, which means that even if you need to chop log after log, it will take abuse and still remain strong and sharp. And when it starts to dull, it’s easy to resharpen. So hack away with the BK9. It also has a beautiful coating and finish to it. The handle is designed for comfort with a thumb rest that offers a better grip. Surprisingly, it’s also pretty nimble for its size at a bit over a pound. The only complaint with the BK9 is the included nylon sheath (noticing a trend?). It does the job well with a plastic liner that protects the sheath from its terrorizing cutting edge, and ultimately secures the knife well by velcroing the knife in place, but many feel that it still leaves a bit to be desired. The Buck Knives 124 Bowie comes with a sharp 6.25” straight-back blade, coated with a classy satin finish. A limited edition run, it features Buck’s conventional 420 high carbon steel with a great heat treatment. The blade is suitable for most work with a thickness of 4mm. The Buck 124 Frontiersman is full tang which gives it strength for heavy duty outdoor tasks. The large aluminum guard adds comfort to your hand while using it, and the aluminum pommel adds nice strength to the knife. The meatiest part is certainly in the handle of the 124 with great weight balance distribution. The 124 has a razor sharp blade, with a tough 420HC steel powering it. Buck designed this to handle any type of hunting, survival or tactical situation. The Buck 124 comes packaged with a decent leather sheath that some complain locks the 124 in too tight, so you may opt to go for an upscale kydex sheath for better portability and protection. Ultimately, a quality hunting and tactical knife, and the best way to test it out is by giving some branches or brush a nice hacking to experience its power for yourself. Case makes excellent knives, and their Bowie knife is no exception. A work of art, decoration, or field-ready? Pretty much all three. The Case Bowie is an exceptional knife, and comes out of its elegant box razor sharp. It is incredible how much attention to detail, and the level of craftsmanship that was put into this Bowie knife. For many, this is more of a collectible knife, perfect for display or “presentation”. With its squint-inducing shininess (mirror polished), you’ll absolutely want to keep this knife polished. The fit and finish on the blade are stunning. If you decide to use it in the field, it is sturdy and durable, with a sharp edge and taper ground blade. It’s uncertain whether this bowie knife has full tang or not, and has not been confirmed by Case themselves, but it appears to be more of a partial tang. Case has used Tru-Sharp 420HC surgical stainless steel for this knife. The size of this knife gives it excellent weight (20 ounces), which provides a great balance for whether you want to use it, or show it off on display. The SOG Super Bowie is the new release, and follow-up to the original SOG Bowie. For outdoor, and particularly heavy duty work, this bowie is incredible for survivalist and bushcraft work. The solid SOG Super Bowie is developed with excellent craftsmanship, and has a 7.5 inch, clip-point AUS8 blade. AUS8 steel is known for its corrosive and rust resistant properties, as well as its ability to maintain an edge. SOG has designed this bowie knife with black TiNi coating. The TiNi coating provides a layer of protection for the knife, and is a beautiful finish. The handle is fastened with leather washers, and is ideal for those with larger hands – as the handle alone is about 5 inches long. Ergonomically designed, it is perfect for the toughest conditions, and impervious to inclimate weather. The handle also has finger grooves in the center of the handle which offers a strong grip. If you’re looking to abuse your bowie for bushcraft and hunting, it’s important that the knife has full tang, which the SOG Super bowie has. SOG pairs this knife with a leather sheath. Ultimately, this is a gorgeous knife, with excellent craftsmanship, and truly is a dependable knife for most hunting and survival situations that you might be in. The Puma 116396 Bowie just feels like a classic bowie knife. And, Puma is certainly not new to the art of cutlery and knife making, having been around since 1769, and regarded as one of the top companies for sporting knives. Puma is iconic for making incredibly high quality German knives, and the Plain Stag is no exception. With a 6” blade, D1.4 stainless steel and a Rockwell hardness of 57 – 60, this is as effective as it is handsome. This high end bowie knife has a hollow ground drop blade, and fittingly is hand crafted. The great thing about the Plain Stag is that it does not emphasize appearance over performance. Its aesthetics are as sharp as its performance. One knife in particular on this list, we discussed its value more as a collector item and on display than in the field. This knife is handsome because of its ruggedness and functionality. It isn’t conventional beauty with mirror polish that makes it shine, instead it’s a real deal bowie. 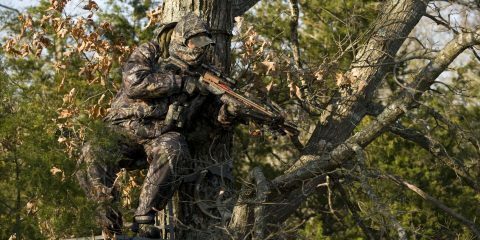 When you take it out with you in the woods, it will be an all-day hack and slash warrior for you. It is extremely lightweight, and nimble, certainly lighter than many knives on this list. Stylish and razor sharp, it’s a bowie that will serve you faithfully. Hands down one of the best bowie knives on the market today is the ESEE Junglas. This beast has a razor sharp, over 10 inch fixed blade. It will slice through anything that you put in its path. Wood, logs, branches, bottles, there is no stopping the Junglas. The big blade is most ideal for camping and backpacking, situations where you need a big blade to help with building shelter or firewood. It chops and hammers right through hard materials with its tough, tough blade. I liken the Junglas to practically being a mini ax that will serve you well in the woods, the jungle, some remote island, or even in your backyard and home. ESEE has put tremendous attention to detail on the design of the knife. It has beautiful detail on the blade and handle – overall fantastic craftsmanship, heat treatment of the steel, and quality control. ESEE also bundles the Junglas with one of the best sheaths that I have seen on such a big bowie knife. The sheath is kydex and MOLLE compatible for your pack. If you are in the service, it is jump compatible, and has holes for paracord and retention screws to keep the bowie locked in place without rattling around. One point to note is that the steel is high carbon 1095 steel. While an excellent and tough steel, this type of steel requires some care and maintenance. So, as long as you oil it and take care of it, it will equally take care of you in the bush. Yes, there is a lot of hype around this bowie, but it does in fact have quite a large bite to back it up. Beautiful Made in the USA bowie that is hands down one of the best bowies on this list. Ergonomic handle for chopping and batoning. With the sheath, this is one hefty knife. Not ideal for long hunts if it will be on your side the entire time! The Cold Steel Natchez Bowie is a monster 17.125” knife. Indisputably so, the Natchez Bowie is one of Cold Steel’s best knives, and absolutely one of the best bowie knives on the market, bar-none. This is first, and foremost, designed as a tactical weapon or for martial arts. Wielding this is along the lines of a mini sword. Even though we aren’t quite sure what a “traditional” bowie is (still majorly debated), this looks and feels like something that would have made James Bowie proud, and would have delighted him for combat. Cold Steel has designed the Natchez bowie with an incredible 11.75” blade that slices cleanly through anything. However, the gargantuan size might be a bit much for you, depending on your needs. 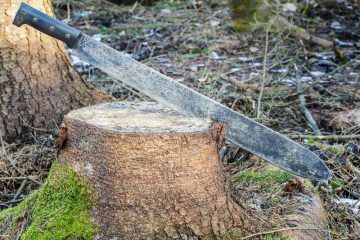 If you’re looking for a bowie primarily for outdoor survival and hunting – whether it is bushcraft or camping, the size might be too big if you aren’t use to handling a blade of this magnitude. Cold Steel themselves also say this bowie is primarily for tactical use, but many say that it will hold its own even if you are camping and need it for bushcraft and light batoning. What makes it an excellent fighting bowie? Well, it has a razor sharp long blade that can pierce through anything in its way. The thick blade offers strength to the knife, and has a full flat grind. Cold Steel designed it with a hefty but balanced handle that offers leverage in your slashes. This is no joke of a bowie. For a field test video, see below, however, popular opinion of many that you’ll need to hold this knife and test it to see how high-quality it is. The Natchez bowie also has remarkable craftsmanship and high-quality materials behind it. With a nice thick brass finger guard, your hand won’t slip while you’re using the knife to annihilate through practically anything that should unfortunately be in the way of this knife (ever heard the expression “like a hot knife through butter?). It also comes with a Secure-EX sheath, ideal for inclement weather conditions, and has a belt loop to fit on your belt or pack. It sits snug, so it won’t wear down the edge, and when you are ready to use it, just push it and it releases. While it has significant functionality, it is equally perfect for display on a mantle or wall. A beautifully designed bowie, and one of the best on this list. The down-side is its price, but if you are looking in this category because you want a bowie that is top of the line, then you’ve found your match. Great value in terms of the price considering its material quality, blade sharpness, and durability. The TOPS Knives ATRD01 Armageddon Bowie is a pretty big bowie at 16 and a half inches, and razor sharp 10.625 inch flat ground blade. With such a sharp drop point blade out of the box, and tough 1095 steel, the Armageddon can essentially serve you as a mini-machete, ideal for camping, hiking, survival and bushcraft. The ATRD01 Armageddon has a piercing tip that can puncture through hard surfaces and remain unscathed – that is what you want from a workhorse knife. With full tang on this beast, it is designed for abuse. The Armageddon offers alternative hand placements to allow for additional control of such a large knife. Finger grooves on the blade allow you to choke up, if you need a closer grip for finer tasks. Your fingers can rest easily at the base of the blade and choke up on the choil when necessary. The hand guard works to prevent your fingers from slipping when you do not want to choke up. The Micarta handle feels great. Micarta is typically ideal for nasty weather and messy conditions when your hands are wet, and you need to maintain a grip. Many users report that it typically does not result in hand fatigue from prolonged usage, but to avoid hotspots, the alternative finger placements help. The Armageddon includes a decent nylon sheath, so you will certainly want to upgrade the scabbard should you ever grab this bowie. Overall, a beautiful and hefty knife with excellent finish. As expected of TOPS, the craftsmanship is one of the best components of this knife, but you will still need to oil the blade it in order to maintain its integrity and great condition. Cold Steel has promoted and marketed their San Mai Trail Master as one of the strongest and sharpest bowie knives of not only their extensive product line, but on the market. But, is it? The San Mai Trail Master is another large bowie from Cold Steel. With a 9.5 inch San Mai steel blade, this knife can take serious abuse, just as it was designed to do. Heck, while not quite a machete, it’s the next best thing – large and sharp enough to be a knife, but not a sword or machete. The Trail Master is designed with a tough needle sharp clip point tip with an incredibly thick blade. A blade thickness of 5/16” – I don’t see that type of blade thickness often. The San Mai steel blade has 3 layers, and that is what gives it so much strength, thickness, durability and power. It’s a serious chunk of steel, and will take some work to break it in. The blade is ground from the top to the edge, and is so sharp that it shreds cleanly right through wood, rope, bamboo, and realistically just about anything else with superb durability and bend. It’s a heavy-duty bowie ideal for chopping and slicing when camping or bushcraft. When camping, if you need to chop wood to gather firewood and to build a shelter, I can see this bowie as being the perect companion. The Trail Master also comes with a kraton handle which is designed to be ergonomic with its shock-absorbing grips. For such a large knife, it is remarkably light weight to use and carry for its size. Even still, while it isn’t heavy, most feel that it has substantial but comfortable weight, a bowie with some “oomph”. Good weight balance is important in preventing hand fatigue and hot spots with prolonged usage. Overall, the Trail Master is one big, intimidating masterpiece from Cold Steel. With this knife, the age old adage of “you get what you pay for” lives on. Before we dive in to the aforementioned list and how a Bowie knife can serve you, it’s equally important that we first address what it even is. If you’re a fan of Hollywood, you’ve undoubtedly seen the Bowie’s rise as an American icon in the form of a big, scary and intimidating knife. Most famously, you’ve probably seen it in Rambo and Crocodile Dundee. The truth is that there is no simple answer as to what a bowie knife is, just a plethora of opinions. Ironically, you would think after all these years there would be a consensus, but the disagreement is because there’s no evidence of what the first Bowie knife even looked like! Conventionally, a Bowie is a knife that is longer than about 6 inches (can range anywhere from 6 to 30 inches in length), and has a thick, sharp blade. It’s undergone many cosmetic changes since it was originally used by Col. James “Jim” Bowie in the 1800’s. Originally, a Bowie was primarily used for fighting and self-defense, but it has become more of a survival tool than a weapon. Because of its massive size, it is a perfect versatile knife for both campers and survivalists. The stigma is that it’s a massive, clip point blade, practically a mini sword and dagger. So to be defined as a Bowie, size is one of the most important aspects. As a result of their large size, they are generally sturdier and sharper than conventional survival knives. Since it fits into a sheath, a Bowie is known as a sheath knife, and more often than not has a large cross guard. When purchasing a Bowie knife, the blade material and quality is critically important. First, I would recommend a fixed blade. In this type of work, a fixed blade will be significantly more durable, and reliable. Folders have their place, especially for an EDC, but a folder generally has less strength than a fixed blade knife, and when batoning and hammering, you need all the force that a knife can offer. Second, the blade has to be razor sharp. A dull blade is not only ineffective, but arguably dangerous in survival, fighting and hunting situations. A knife is only as good as its blade, so it is important to be choosy about the steel used for the knife (discussed below). On your blade, you may opt for a clip-point tip for maximum control, and a sharpened false edge. A clip-point works great for a Bowie because the point of the tip is to be able to forcefully stab through an object or threat, and that is exactly what a clip-point offers. A quality Bowie functions as a slashing and stabbing tool. So, for your knife to slice well, you’ll want a blade that has a straight edge that runs from the belly to the handle. For steel selection, you’ll mostly be deciding between carbon steel and stainless steels. Traditionally, most Bowies were manufactured with carbon steel, however, stainless steel alloys have evolved and progressed so much that it now rivals carbon steel, and in many cases, is replacing carbon steel (creating a stronger blade). These stainless steel alloys can now almost match carbon steel in toughness. Conventionally, carbon steels have been tougher than stainless steels, encouraging their widespread use because they are relatively easy to sharpen, and maintain a fine edge. However, the issue of carbon steel versus stainless steel is that carbon steel can corrode if not properly taken care of. Stainless steel alloys can match carbon steel. But it’s not like the classic bowie knives. Blade steel will make or break a good Bowie. If the knife can’t hold up to heavy-duty tasks like batoning without breaking, its actual functionality for anyone will be severely limited. A good Bowie knife should be at the very least, 6 inches long. Shorter than this, and quite frankly it’s not a Bowie knife. A classic Bowie needs length, and should look threatening! For practicality sake, 7 – 11 inches is ideal. It can be hard to carry around a 25 inch Bowie while camping for an extended period of time. You also lose precision in your cuts the longer the knife is. 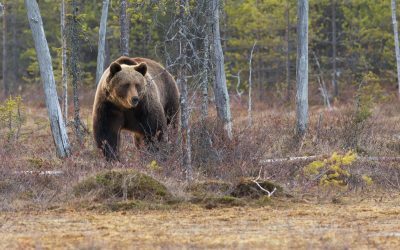 Anything smaller than 6 inches, and you might be better off looking for a hunting/skinning knife or a pocket knife. The point of a Bowie is to have a large knife that can handle intensive tasks that every day knives can’t handle. The length that works best for YOU will depend on your own needs. Length and power is important for batoning and bushcraft work. Smaller Knife = precision. 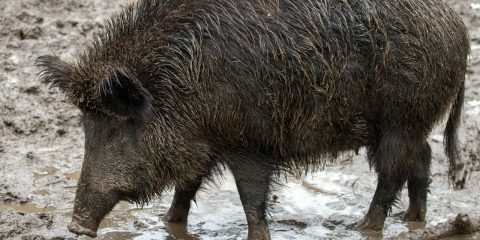 This is going to be better for hunters that want their Bowie to be able to skin an animal. A large Bowie will make field dressing more difficult. Larger Knife: longer, thick blades are going to help with intensive, and grueling outdoor tasks. Large blades will give you more power, and so they will work better for chopping wood, bushcraft and clearing brush and shrubs. However, the longer the Bowie is, the harder it will be to wield and use. With a 20 inch knife, your control rapidly decreases over the knife, which could make it a liability. For a Bowie, light weight is less useful. To do hard tasks for camping and bushcraft, the knife needs to have substantial weight so that it doesn’t crack under its own weight. There is a fine line that it shouldn’t be too heavy that it isn’t portable, but still pack a punch when you need to equip it. In a combat situation, it turns into a weapon, and needs to serve its role. It’s hard to assign a specific weight because everyone has different preferences. Some like the feel of a hefty knife that balances under its own weight, others prefer sleek and nimble knives. Your Bowie will surely be taking abuse for outdoor tasks, so it has to be strong. As a result, you will want to seek out a Bowie that has full tang to ensure that the knife won’t snap in half during rigorous use. Tang is the steel that connects the handle to the blade as one long continuous piece of metal – it is not a display characteristic, but effects the entire integrity of the knife. Full tang gives the knife strength, and helps to prevent the knife from snapping. For some tasks, you might need to smack things hard, and the knife better hold up. Full tang is useful because of its strength. Even with a massive brunt force, it is still hard to break a full-tang knife in half because it is reinforced by a huge chunk of metal. How do you know if your knife has full tang? You can see it by looking at the handle (with a non-exposed handle, the metal will run through the handle down to the pommel). The sheath houses your knife, and is almost as important as the knife (just like a garage that protects a Ferrari). The sheath houses the knife, and protects it from the elements and weather, so investing in a quality sheath is also like investing in your knife’s well-being. Leather or synthetic is often the best quality materials and the longest lasting for a sheath. My recommendation is a nice leather or kydex sheath. A quality sheath will make the knife easier to carry, and conform to your movements as it is snug on your side. I also recommend a sheath that won’t wear the edge of your blade down because it is crammed too tight. A good Bowie needs a form-fitting handle as ergonomics are important to maintaining your control over the knife. When you are out in the rain chopping wood, the last thing that you want is minimal retention on the handle that your knife flies out of your hands. Handle preference, like weight, also tends to be more subjective and varies by person to person as to what they find comfortable. It also depends on what you are using it for. For prolonged usage …. does it cause hot spots? Is it too heavy in your hands? Too big? The most popular type of handles right now are Micarta, G10, natural bone and synthetic handles. Knife makers prioritize handle design for cosmetic appearance, but it is important that you look past the aesthetic appeal. Unless it’s a display knife, it needs to be more functional than pretty. An attractive handle is ideal, but if you need stitches because it slipped in your hand, then the attractiveness loses its luster just a bit. Synthetic: Great for wet and messy conditions. Very durable handles.